English Language House was set up in 1998 by Tatiana, an EFL teacher and Cambridge examiner who moved to Milton Keynes with her family in 1989. Tatiana had worked for the British Council abroad as an EFL teacher and Cambridge examiner for the FCE, CAE, CPE and IELTS exams. She also worked for Bell English in the UK and for private language schools abroad. When she moved to Milton Keynes with her husband and very young children there was not much EFL work available in the city. She briefly worked for Milton Keynes College and then for Thornton College. In 1998 she hired a room for a few hours each week at the Church of Christ the Cornerstone and she and started running EFL classes for international students. The classes soon became very popular. In 2000 English Language House became a limited company and started to look for quality teachers to teach its students. ​English Language House continued to grow, mostly through "word of mouth" as more and more happy students told their friends. And it didn't stop there!! English Language House still continues to grow and we now offer a range of EFL/ESOL/EAL courses to numerous students and companies each year. 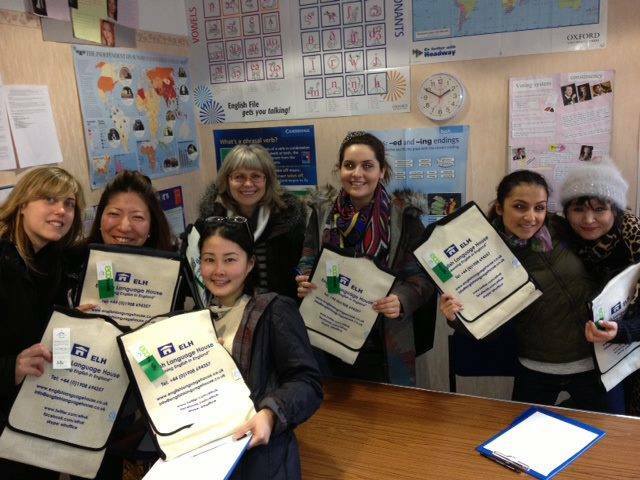 We are an English language tuition and training centre which specialises in teaching English to international students. We are an open examination centre for the Cambridge Assessment English exams. We have British Council accreditation and we are also inspected by ISI oversight. This means that our courses are checked so that international students who want to study here can be confident about the quality of the lessons and the level of care and support we will offer them. We are Tier 4 sponsors for the Home office so we can accept visa students.